Hello, all! This week’s Teaser Tuesday is a snippet from Seb and Hudson's book Darkest Hour Before Dawn which is book nine in the THIRDS series, and now available for pre-order! Enjoy! Rafe still had a way to go to redeem himself in Hudson’s eyes, but Hudson felt for him. Having known the Hobbs family for years, being present for some of Thomas’s worst days, Hudson wouldn’t wish the condition on anyone. The knowledge that Rafe would one day end up in a wheelchair like his father, at the mercy of agonizing pain, hurt Hudson. Rafe was Seb and Ethan’s big brother. A huge tiger Therian, built of what seemed like solid muscle. At seven foot two and over three hundred pounds, he eclipsed Hudson’s smaller wolf Therian frame. As big as Seb was, Rafe was just that tiny bit bigger, certainly broader. It saddened Hudson. Rafe hadn’t always hated him. Once upon a time, Rafe had been kind to him, even smiled. The last six months had been rather awkward. Although Hudson was on speaking terms with Nina, their relationship had suffered greatly. How could they get back to the way things were after she’d purposefully kept him in the dark? For months, day after day, she’d looked him in the eye, going on as if nothing had happened, and all the while sharing Rafe’s bed. “I would have thought you’d be happy to be rid of me once and for all. She’s the only connection left between me and your family.” There was no bitterness in Hudson’s voice, only sadness. Rafe raked a hand through his hair and let out a heavy sigh. He appeared to give a lot of thought to the question, as if trying to find the right words. Copyright © 2017 Charlie Cochet. THIRDS published by Dreamspinner Press. 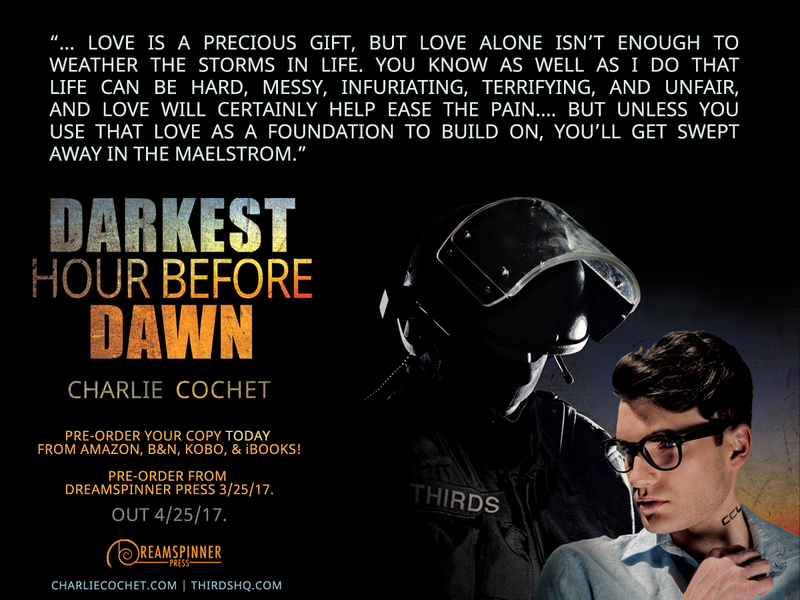 Darkest Hour Before Dawn (THIRDS, Book 9) Pre-Order Now Available!!! Hello, all! 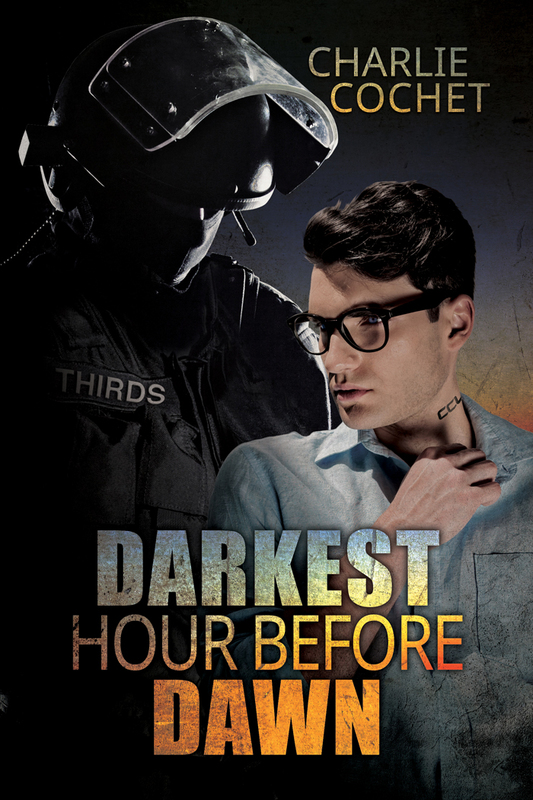 I am super excited to announce that Darkest Hour Before Dawn, the 9th book in the THIRDS series is up for pre-order at Amazon and other third party sellers!! I can't wait to share Seb and Hudson's story with you! These two sent me on an emotional roller coaster ride to rival Dex and Sloane. I'm telling you, I thought they were trying to kill me. Finally, after 8 books, we get Seb and Hudson. I hope you'll love them as much as I do! This is a special early pre-order event, so Dreamspinner Press pre-orders for Darkest Hour Before Dawn will go up on the Dreamspinner website March 25th. Darkest Hour Before Dawn is out April 25th! Check out the amazing cover form the fabulous L.C. Chase! 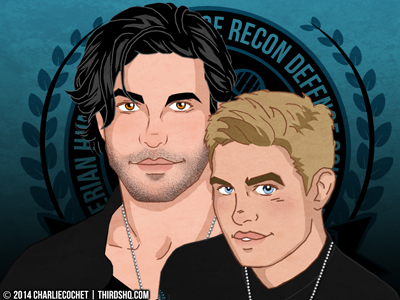 THIRDS Team Leader Sebastian Hobbs and Chief Medical Examiner Hudson Colbourn are as much in love now as they were nearly seven years ago when a tragic event on the job destroyed their relationship. The two drift together only to be pulled apart time and time again. When Hudson draws the interest of dangerous enemies, both within and outside the organization, Seb wants nothing more than to protect the man who still means everything to him. As life-and-death events, an uncertain future, and startling truths draw Hudson and Seb to each other yet again, they must make a choice: trust their love and take strength from what they share, or lose what matters most… for good this time. Dex and Sloane THIRDS Valentine's Day Flash Fiction! Hello, all! We have a special Valentine's treat for you! The fabulous RJ Scott is hosting a number of authors on her blog to celebrate Valentine's Day, and today we have a fun little Valentine's Day flash fiction story featuring our devious duo Dexter J. Daley and Sloane Brodie. Check out what mischief Dex is up to on Valentine's Day. Paris Book Fair Pre-Order Sale! Hello, all! Dreamspinner is having a pre-order sale for the Paris Book Fair! This is a great opportunity to order any paperbacks you'd like to have signed at the book fair at 25% off, and have them shipped directly to Salon du Livre for free, but you must use code PARIS17 when you checkout. The pre-order sale and free delivery to Salon Du Livre is for all paperbacks, including those for author who won't be there to sign. 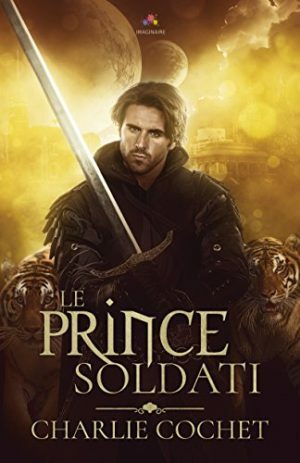 I will be signing at the Dreamspinner Press booth Saturday, March 25th from 6 - 8 pm, and I will be signing copies of Le Prince Soldati at the MxM Bookmark booth on March 25th and 26th from 4 - 6 pm. 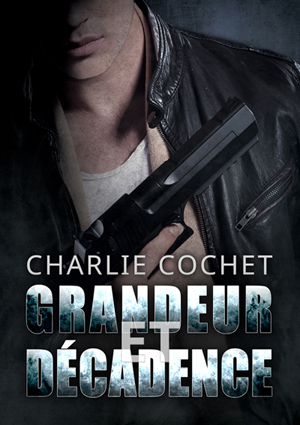 If you're attending the Paris book fair, Grandeur et décadence (THIRDS Tome 4) will be available early for you from Dreamspinner Press if you pre-order! Use code PARIS17 when you checkout, and your copy of Grandeur et décadence will be shipped directly to the Paris Book Fair! Dreamspinner Press will also be selling copies at the book fair, but quantities are limited. Les rues de New York sont plus dangereuses que jamais maintenant que l’Ordre d’Adrasteia se retrouve sans leader, et la Coalition Ikelos, un groupe Therian nouvellement apparu, en guerre. Des civils innocents sont pris entre deux feux et bien que le THIRDS rassemble de plus en plus de membres de l’Ordre dans l’espoir d’empêcher le groupe volatil de se réorganiser, les membres de la Coalition continuent de s’échapper et de causer des ravages au nom d’une justice de défense auto proclamée. Pire encore, quelqu’un à l’intérieur du THIRDS fournit des informations à la Coalition. C’est à Destructive Delta que revient la tâche de débusquer la taupe et de mettre fin à la guerre avant que quelqu’un d’autre soit blessé. Mais pour remplir cette mission, l’équipe devra accepter les séquelles causées par l’explosion du Centre de Jeunesse Therian. Un accrochage avec des membres de la Coalition conduit l’Agent Dexter J. Daley à une découverte choquante et soudain, il devient clair que la violence aléatoire n’est pas si aléatoire qu’elle en a l’air. Ce qui se trame est plus important que Dex et Sloane le croyaient à l’origine, et leur fougueux partenariat est mis à l’épreuve. Alors que l’affaire prend une tournure explosive, Dex et Sloane courent le danger de perdre plus que leur relation. Hope to see you in Paris! Pré-commander Grandeur et décadence (THIRDS Tome 4) de Dreamspinner Press! Un jour, Riley Murrough mène la vie normale d’un employé de café et le suivant, il se retrouve à fuir des démons pour sauver sa peau, apprend qu’il porte la marque du roi métamorphe d’un royaume magique et, pire que tout, qu’il est destiné à devenir le prince consort de cet arrogant tigre garou qu’il préférerait plutôt étrangler. Get new posts from Charlie's blog delivered to your inbox. Join Charlie's mailing list to receive news on upcoming books, exclusive content, giveaways, first access to extras, and more. Join Charlie’s Facebook reader group: Donuts, Dog Tags, and Daydreams, for book chats, exclusive excerpts, exciting news, giveaways, and more! Diamond in the Rough Early Release!! Diamond in the Rough Cover Reveal and Blurb! Shiny New Website and Updates! MM Valentine's Day Short Story Giveaway! Love and Payne now available on audio! Design by KMD Web Designs.